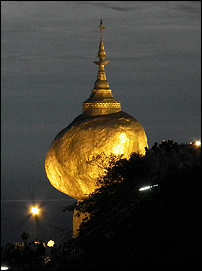 In order to enter Myanmar, you will need a valid visa. We recommend you get your visa in advance in good time by application to the London consulate. The Myanmar currency is the ‘Kyat’ (MMK) (pronounced ‘chat’). At the time of writing, the exchange rate is about US$1=MMK1300. You will get a slightly better rate for larger denomination bills ($100 and above). The rate is similar in most places including Yangon airport. Kyat are used for drinks, tips and purchases. Your hotel, at least the upscale hotels, may also present your incidentals bill in US Dollars. If you choose to pay in Kyat, please check their exchange rate for bill-paying. It is illegal to take Kyat out of Myanmar, but you should be able to exchange unused Kyat when leaving the country. The banking situation in Myanmar is now changing. Credit cards are now accepted in many places (Visa and Mastercard) but please check there will be no surcharge applied. There are also some ATMs appearing in Yangon. However, we recommend that you carry enough US$ (brand new bills only) to cover your hotel incidental expenses and purchases whilst in Myanmar. New mobile phone networks in Myanmar operate on the same frequencies as your mobile phone and your phone should work in most parts of Myanmar that you are likely to visit. If making telephone calls from your hotel room, check the rate first: some hotels are very expensive for international calls. Internet service and wi-fi is widely available in hotels and internet cafes. We strongly recommend you take medical advice from your doctor before visiting any part of South East Asia. He or she will be be able to advise you on the latest health-related recommendations and preventive measures. We recommend you stick to bottled water which is available everywhere for drinking, teeth cleaning etc.. Visitors to Myanmar rarely experience crime or other difficulties but please remember Myanmar is a poor country so please take sensible precautions as for any 'third-world' country. Please do not carry passports, important papers or a lot of money when walking in the street: make use of hotel safes where available. Pickpockets may operate in markets or crowded areas. Ostentatious jewellery or watches are a temptation. Taxis may be poor quality and fares should always be negotiated before entry. The sun is strong in Myanmar, sunscreen is essential and a hat is advisable. For temple visiting, respectable dress is required, i.e. shoulders and knees covered for both ladies & gentlemen. Shoes and socks must always be removed, making a pair of (cheap) kick-off sandals a real time-saver. From November to February, the weather is mild, mornings can be quite fresh, but the day quickly warms up as the morning progresses. The sun is strong and sunscreen and a hat are advisable. From March to May the weather gets hotter until the monsoon breaks. June to October is the rainy season and tropical downpours are commonplace. The weather pattern for Bagan and Mandalay is similar to that of Yangon, however both these places are in the rain shadow of mountain ranges to both the East and West. This means the climate is much drier. In March, April and May, the weather is very hot, but it is a 'drier' heat. Rainfall during the rainy season is much lower than that of the delta region.